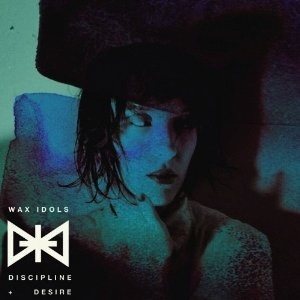 Wax Idols newest effort, Discipline Desire, steamrollers over any vague notion of a sophomore slump, following up their debut No Future with an LP that’s polished and precise in its aims, and executed without a shred of self-doubt. The opening trio of tracks, “Stare Back,” “Sound Of A Void,” and “When It Happens,” feeds off each other. Not coincidentally, the band led off a recent show with this blast of tunes, and it paced the set. Early “80s post-punk that’s ingrained in the band’s DNA is brought up to the surface, which is polished bright and shiny. The detail in the tracks, “Ad Re Ian,” indicates just how much of a labor of love this is. While there is a darkness present, lyrically, the group’s brute energy has not been sacrificed. far beyond anyone’s expectations. The interplay of tracks reaches its peak with the elegiac “Elegua,” giving way to “Stay In,” a vintage blast worthy of the first Pretenders album, specifically closing track “Mystery Achievement.” It manages the trick of summing up all that came before it, yet showing the way forward.